Lake Tahoe has a ton of great things to offer during the summer time, from a gorgeous, pristine lake that’s perfect for boating and swimming to 4th of July fireworks, sandy beaches, awesome hiking trails, and parks that offer wonderfully beautiful views for picnics and family gatherings. You seriously won’t run out of options all summer long! And so today, we’re featuring 10 of the coolest things to do in Tahoe this summer. 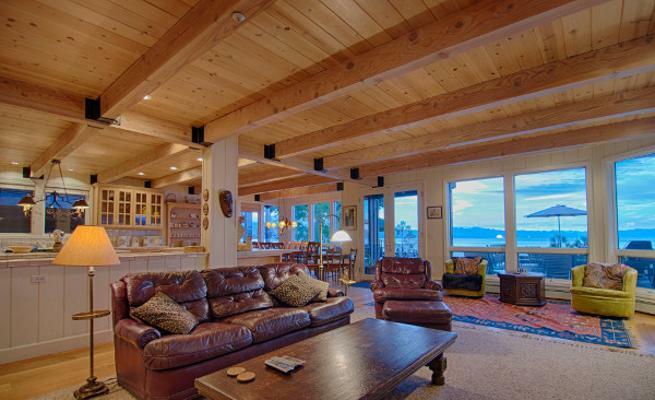 And then below that, we’re featuring some of our nicest, most luxurious vacation rentals in Tahoe. So go ahead, get planning! You’ll need a cool home and cool ideas for things to do – look no further than the list below! 1. 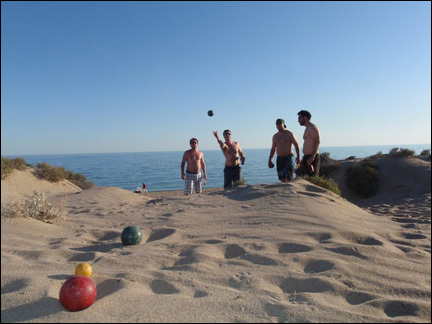 – Bocce Ball at Ski Beach in Incline Village. Every Wednesday, get your bocce on in Incline Village with wine, music, appetizers, and plenty of fun! There’s always a post-bocce barbecue afterwards, too. You need to register by noon the day of and the price ranges from $12 to $15. 2. – Carrie Underwood! Join Grammy Award-winning superstar Carrie Underwood at the Lake Tahoe Outdoor Arena for a one-nightly only show on Friday, July 18th. This show is a part of the Summer Concert Series at Harveys, which also will feature other great artists this summer, like Sarah McLachlan, Journey, The Eagles, and Lady Gaga. 3. 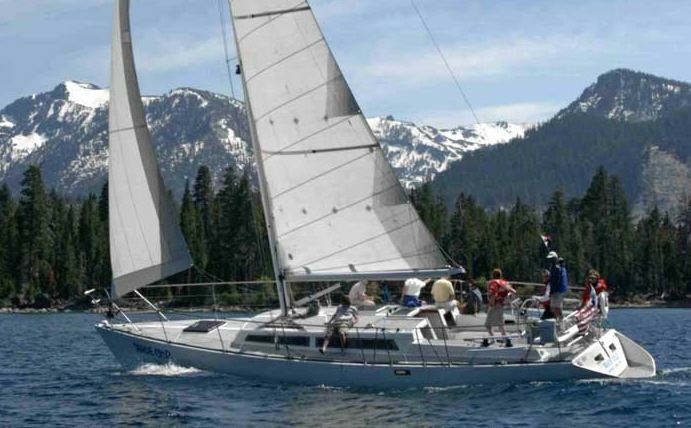 – Boating & Cruises on Lake Tahoe. Lake Tahoe is quite simply an awesome place to boat. The water is crystal clear and the views are simply stunning. There are lots of vacation rentals available with boat docks, and it’s super easy to bring the family into the boat and troll the lake for a while. One of the coolest boating activities is seeing the 4th of July fireworks right from your boat! There are cruises available as well, and you can also rent boats for use. The Tahoe Keys Marina & Yacht Club is a great place to start out with recreational boating as well. They have great food and good drinks, too. 4. – Camping. Tahoe has some truly spectacular places to pitch a tent and camp. And hey, the weather’s nice all summer, so why not? When it comes to camping, the North Shore has some great hiking and fishing, the South Shore is great for families (and RVs), the West Shore is near some awesome hiking and biking trails as well as historic sites, and the East Shore has some camping near some great beaches. 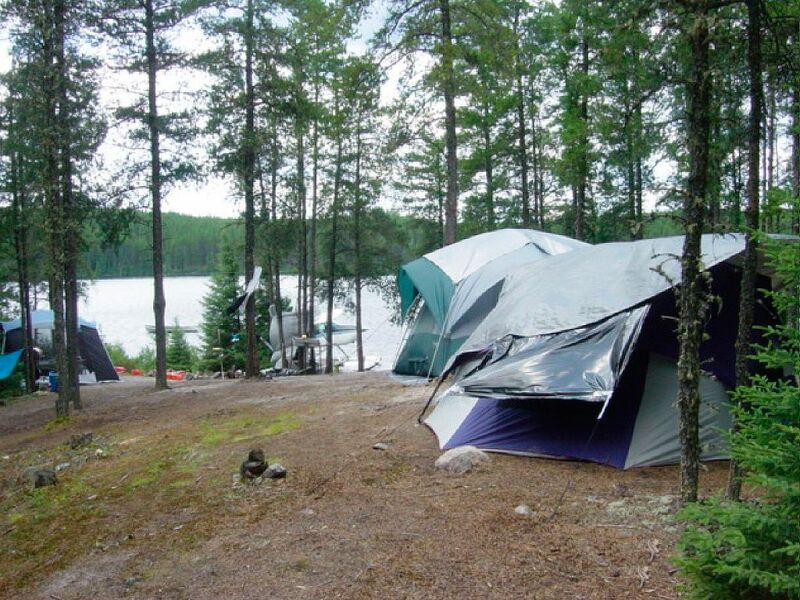 You can find some great camping location ideas here. 5. – 5K Foam Fest. On Saturday, August 2nd, the 5K Foam Fest hits Reno! The “newest and craziest race to hit the nation,” the Foam Fest is a mix of foam, mud, and obstacles, combining a normal 5K race with mud, foam, inflatable obstacles, army crawls, walls, cargo net climbs, a moon walk, slip’n’slides, and more. 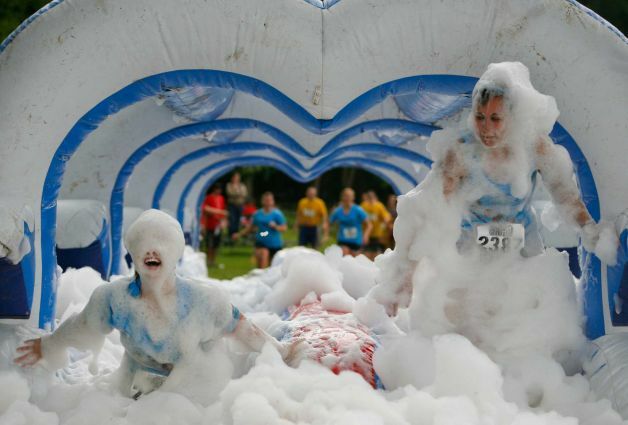 Whether you’re an experienced racer or not, the Foam Fest will make running 5K fun, challenging, and rewarding. 6. – Hike to Granite Lake. Granite Lake is a beautiful lake tucked away in the ridge leading up to Maggies Peaks. The trail is steep and it’s 2 – 4 miles long, depending on how far you want to go. Located on the West Shore, this hike offers astounding views of Lake Tahoe, a nice glacial lake, and great views of Maggies Peaks. The trail starts at Emerald Bay, a few miles north of South Lake Tahoe on Highway 89. 7. 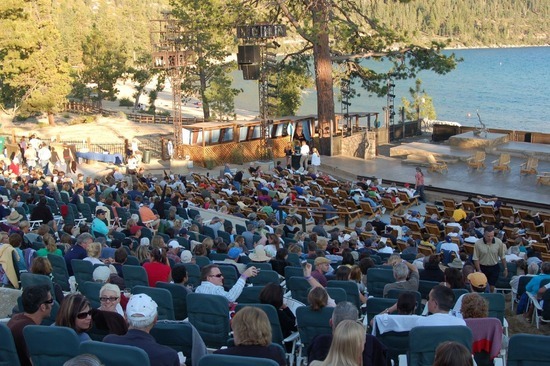 – Lake Tahoe Shakespeare Festival. This summer, from July 11 through August 24, you can see Shakespeare’s comedy As You Like It in one of the world’s most breathtaking venues, Sand Harbor State Park. Sand Harbor State Park is located three miles south of Incline Village in Nevada. You won’t be disappointed with this show. Not only does it feature some great acting, but you’ll be able to enjoy a sandy beach, bottles of wine, and a gourmet meal all at the same time! Find tickets here. 8. – Tahoe City Fine Arts & Crafts Festival. From August 15th through August 17th, enjoy meeting with 45 different artisans and craftspeople showcasing a ton of different arts and crafts, including oil paintings, photography, ceramics, jewelry, and more. The event is completely free and it takes place at Boatworks Mall, right in the heart of the West Shore’s Tahoe City. And hey, the views aren’t bad, either. 9. – Lake Tahoe Yoga. Lake Tahoe Yoga offers a variety of daily yoga classes that include Vinyasa, Yin, Alignment, heated, and more. Best of all, you can choose the location you want to practice in! Lake Tahoe Yoga offers practice in the studio, on the beach, on a paddle board in the water, and more. Their Stand Up Paddle Board Yoga class looks especially cool! Even expecting mothers and beer fans will find exactly what they’re looking for at Lake Tahoe Yoga. 10. – Hot Air Balloon Rides. What better way to see the amazing sights and views of Tahoe than from a balloon high up in the air!? Balloon rides usually begin right after sunset and flights generally operate from May through October. And hey, with Lake Tahoe Balloons, you even get a continental breakfast served on board! Some other balloon companies to consider are Balloon Nevada and Balloons Over Lake Tahoe. 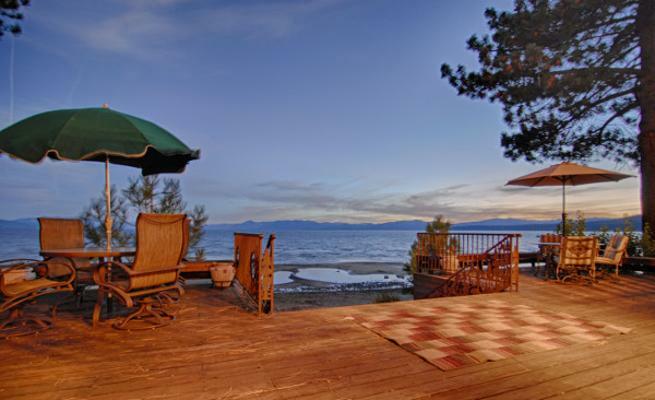 And now, some spectacular vacation rental options in the Tahoe area that are bound to make your Tahoe vacation a special one. Located on a gorgeous sandy beach with private access, this superbly decorated home with a jetted tub, patio furniture, and all modern amenities is elegance incarnate. 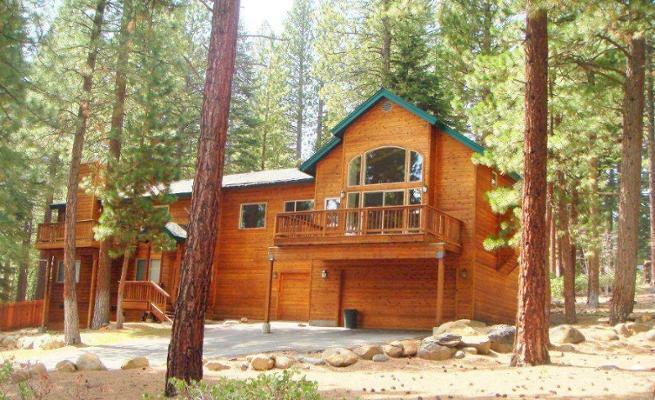 Conveniently located within walking distance to a grocery store, golf, shops, and restaurants, this house is only 10 minutes away from the Northstar California Ski Resort and makes an absolutely perfect vacation rental option. 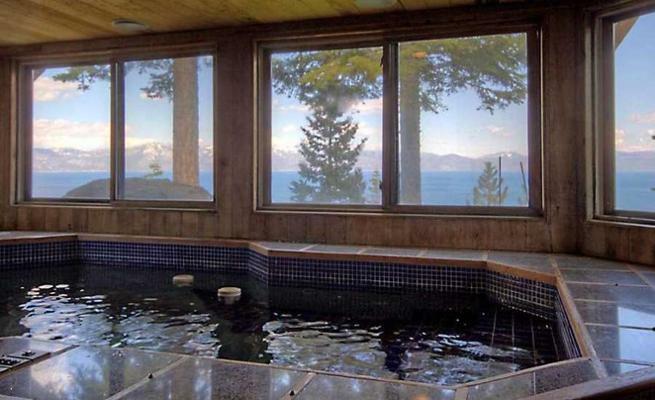 Luxury Lakeview Retreat is a stunning vacation home located on the North Shore of Lake Tahoe with amazing panoramic lakeviews and a beautiful landscape garden to relax in and enjoy the views with the whole family. 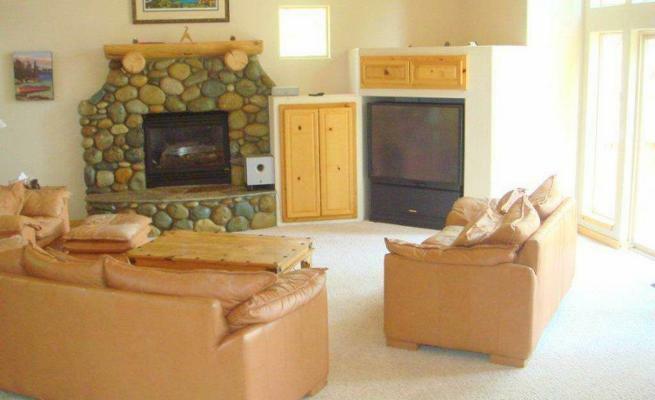 This six-bedroom house with additional apartment is a wonderful vacation rental, has old Tahoe charm, is extremely well-equipped, and is a pleasure to visit. If you enjoy the beach, you’ll love this spacious and bright home located right on the lake and featuring its own private beach! Walk right out your back door and there you are, right on the beach, where you can sunbathe, play volleyball or badminton, create a small fire, or go swimming. 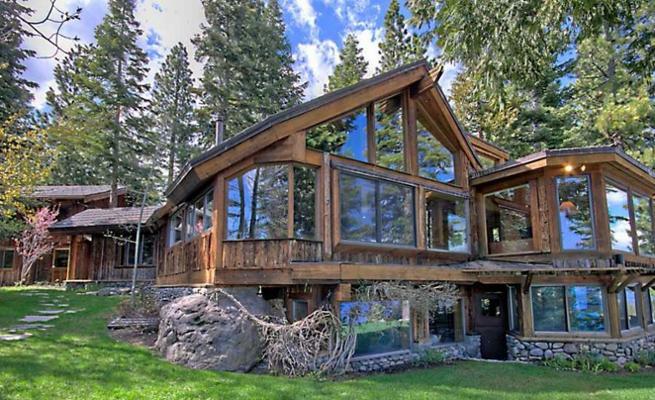 This multi-million dollar home is simply paradise and will make your Tahoe vacation one you’ll never forget. 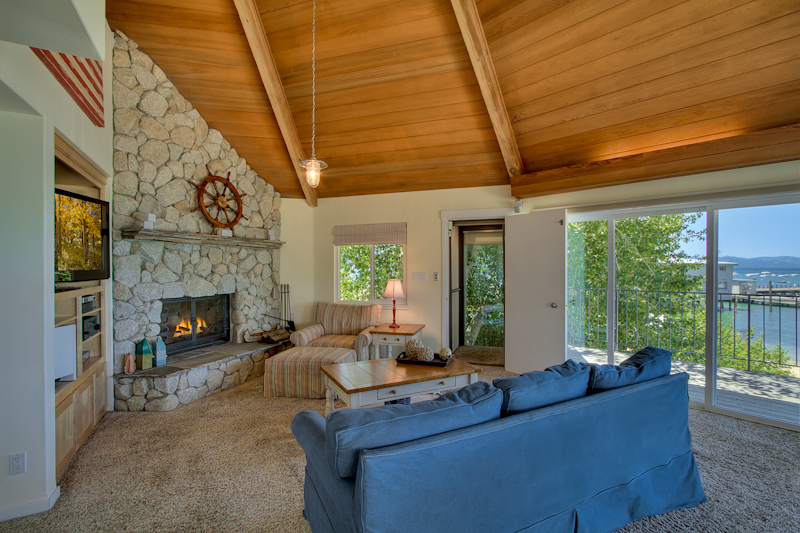 This exquisite and contemporary vacation home in Incline Village is perfect for large groups wanting to spend some great times together. 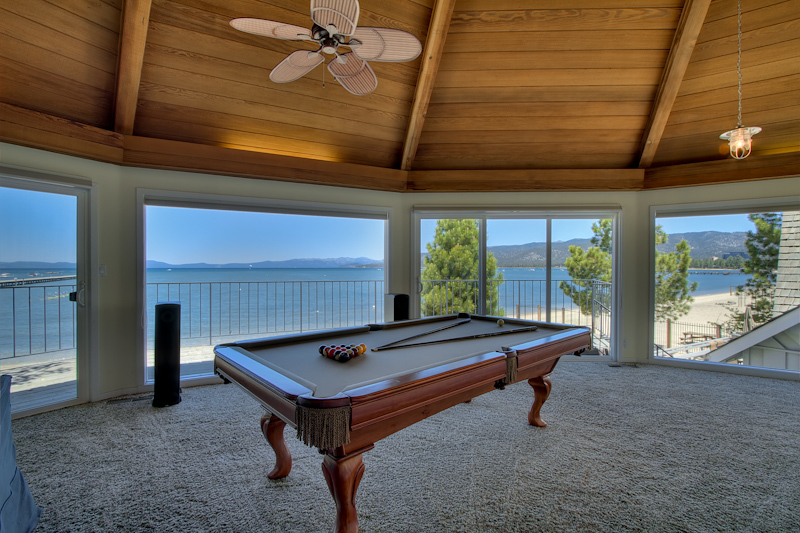 Incline Village is one of Lake Tahoe’s most beautiful vacation rental destinations, and it is the hub for activities such as golfing and skiing. Minutes away from beaches and restaurants, this home serves to you on a platter the very best that Incline Village has to offer. Check out a few of our other great summer blog posts below! – Get Yourself a Myrtle Beach Vacation Rental This Summer!